Let’s be honest: the US tax code is lengthy, complex, and overwhelming. Unless you’re a CPA or some kind of superhuman tax guru, there are probably a lot of opportunities to save on taxes that you’re overlooking. One of these amazing money-saving possibilities lies in Section 1031 of the Internal Revenue Code. Under typical circumstances, any time you sell a piece of property, you are required to pay taxes on your profits. That’s unless you take advantage of the tax deferral program: a 1031 exchange! This powerful tool permits an investor to sell a real estate property and then reinvest the funds in another investment. This means more money in your pocket, deferred capital gains taxes, and additional purchasing power on your next transaction. In this post, you’ll learn everything you need to know about conducting a successful 1031 exchange. You’ll gain an understanding of the rules, guidelines, and time limits, and discover whether or not this tool is a fit for your personal investment strategy. You’ll learn more about the step-by-step exchange process, the importance of having the right team on your side, and how to save tens of thousands of dollars in taxes. 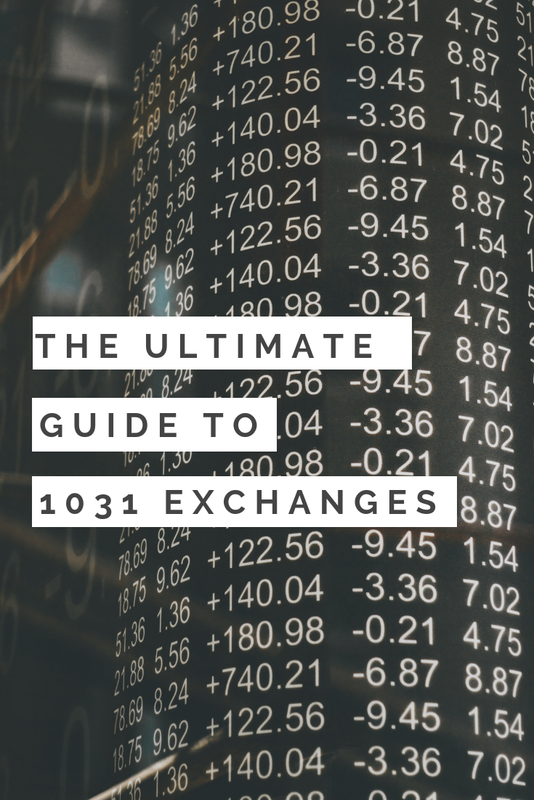 If you want to keep more money in your pocket, keep reading The Ultimate Guide to 1031 Exchanges! When you sell an asset for more than you spent to purchase it, it’s called a capital gain. The government collects a tax on capital gains. This can be the result of the sale of any type of asset, from stocks to vehicles to real estate. As a real estate investor, anytime you sell a property, the income that you receive is taxable. Depending on the real estate market, your tax bracket, and the cost of the asset, capital gains taxes can be incredibly sizable. Luckily, there’s one loophole in the tax code that allows you to forgo that tax bill and keep your profits flowing seamlessly! If you’re thinking about selling a piece of real estate, you need to consider taking advantage of a 1031 exchange to avoid the tax hit from capital gains. A 1031 exchange is a powerful tool that allows an individual or business to save on taxes after the sale of a piece of real estate. This tax deferral program permits the investor to sell a real estate property and then reinvest the funds in another property (or multiple properties). Doing so allows the investor to keep more money in their pocket, and defer all capital gains taxes. In order to qualify for a 1031 exchange, the properties involved in the exchange must be held for either business or investment purposes. You cannot conduct a 1031 exchange on your primary residence. The IRS will request that you prove that your property is an investment via tax returns, records of rental income, depreciation records, and sometimes a statement of intent. It’s important to have this documentation in place in case of an audit. There are also regulations in place for the new purchase (also known as the replacement property). The replacement property must meet the reinvestment requirements during a 1031 exchange. This means if you want to defer all taxes, the new property must be of equal or greater value than the property that was sold. The IRS deems that the property exchanged must be like-kind (more on that later). If you want to save thousands on taxes, you’re going to need to be proactive. A 1031 exchange cannot be conducted in a leisurely manner or at your own discretion. The IRS has set forth a strict timeline that you must uphold during a 1031 exchange. There are two important numbers to remember in order to have a successful transaction: 45 & 180. The IRS requires that the investor identify their purchasing plans on day 45 of the exchange. The investor must describe the property or properties they are planning to use as the replacement in the exchange. These properties must be identified in writing on an official letter. This list cannot be changed after day 45, and the investor must ultimately purchase their replacement from that list. The investor has 180 days to complete the exchange and close on the replacement property. The 45 day timeline and the 180 timeline run simultaneously, and the clock starts on the day escrow closes on the sale of the first property (also known as the relinquished property). These are strict guidelines, and the investor must meet both time limits. 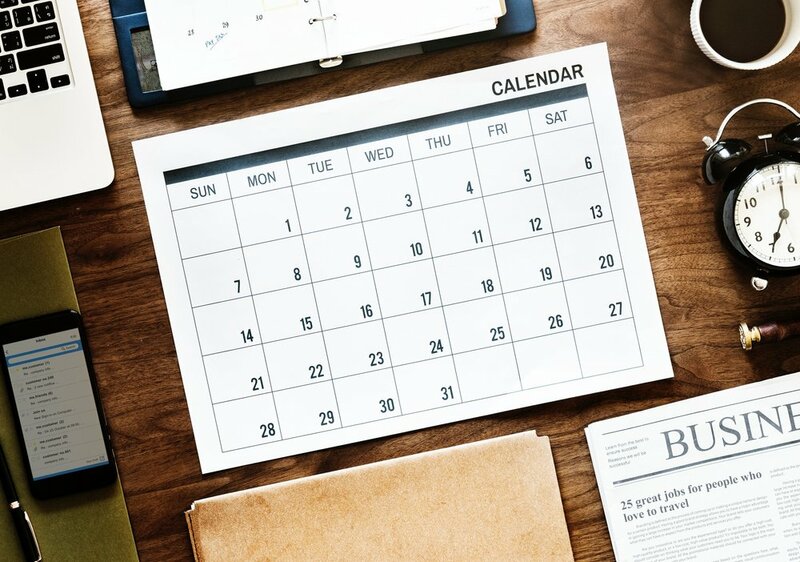 If you fail to identify replacement properties by day 45, or do not purchase your replacement within 180 days, you can expect to be taxed on the sale of your property. There are no exceptions or extensions to these timelines. How do you ensure a replacement property qualifies for a 1031 exchange? There are a few things to consider before pulling the trigger. Cost: The point of the exchange is to defer taxes, so you’ll likely want to purchase a property (or properties) of equal or greater value. If you choose a replacement property that costs less than your original investment, you will be required to pay taxes on the difference. Like-kind: The IRS requires that the replacement property must be like-kind. This term causes a lot of confusion and misunderstanding for investors. However, this is a broad guideline that refers more to the nature of the investment than the actual type or quality. For the most part, any piece of real estate will qualify as like-kind. For instance, if you sell a single-family home, you don’t necessarily have to purchase another single family. You could exchange for a multi-family investment, a warehouse, an office space, etc. The exception would be anything that isn’t a long term investment, such as inventory or properties used for flipping. Use: The replacement property must also be used for business or investment purposes. You cannot sell an investment, and then purchase a primary residence or vacation home. Location: The replacement property must be located in the US. It doesn’t have to be in the same state, but it must be in the US as the 1031 exchange is a US tax program. By day 45 of the exchange, you are required to submit your purchasing plans to the IRS. There are two rules you can follow during this process. 3-property rule: If you choose to follow the three property rule, you can identify three properties of any value. You must then purchase your replacement property from that list by the end of the exchange. 200% rule: This rule does not set a limit on the number of properties that you can identify, but the total value cannot exceed 200% of the property that you sold. A 1031 exchange is not a DIY strategy; it’s necessary to hire a professional to assist you during this time. First, you’ll want to enlist the help of a qualified intermediary while conducting a 1031 exchange. Also referred to as an accommodator or facilitator, the qualified intermediary plays a critical role in the process of 1031 exchanges—they facilitate the entire transaction. The qualified intermediary acts as a neutral third party that holds the money for the exchange in escrow. This is important because you as the investor are not to touch the funds from the sale of your property during a 1031 exchange. If you happen to be in receipt of payment, you are then subject to capital gains taxes. The qualified intermediary prepares all of the legal documents, and provides guidelines to all parties involved in the exchange. The qualified intermediary works to ensure that everyone is in compliance with the IRS in order to guarantee a successful exchange. If you’re looking for a recommendation, we refer all of our investors to Asset Exchange Company. Asset Exchange Company prides themselves on their attorney guarantee, funds security, integrity and experience, and fair pricing guidelines. Leonard Spoto is the principal at Asset Exchange Company, and also one of our favorite podcast guests! Hear his expertise on 1031 exchanges on episode 350 of the Investing in Real Estate Podcast! In real estate investing, most investors utilize a 1031 exchange when they want to diversify their portfolio. In our business, we most commonly work with investors who are seeking a higher return on investment. In the same realm, a 1031 exchange is also an effective way to grow your portfolio, trading one high value piece of real estate for multiple lower cost properties. Because of the tax implications of selling a property, the 1031 exchange has the potential to save you tens of thousands of dollars. Different states have different tax rates, but in general you can expect to pay somewhere around 33% in taxes on the sale of a piece of real estate. Depending on the cost of your property, you could forego the tax bill with a 1031 exchange and instead purchase an additional property (or properties) with the money you’ve saved! A 1031 exchange can be conducted again and again, deferring taxes indefinitely. Although we typically advise holding your properties long-term, in theory, you could conduct a series of exchanges. It’s important to note, if and when you do cash out, you would be responsible for paying the totality of all deferred taxes. Often, it is helpful to compare a 1031 exchange to a retirement plan such as a 401k or traditional IRA. If you roll over your account into a new one, taxes are deferred; when you cash out, you are responsible for paying taxes. However, in a 1031 exchange, the tax bill expires upon your death. In the world of 1031 exchanges, it’s common to hear mantras like “defer, defer, die,” and “swap until you drop.” Smart investors know that a 1031 exchange is an incredible long-term strategy! The beauty of the 1031 exchange is that its benefits are incredibly long-lasting, even beyond our lifetime. A tax-deferred exchange is actually an incredible tool for estate planning. Not to be morbid, but after your death, your heirs will reap the rewards of your financial intelligence. In our personal real estate business, our main purpose is to build legacy wealth for our family. As we purchase cash-flowing rental properties, we intend to pass them to our children when they become adults. If you conduct a 1031 exchange and then choose to pass your rental properties to your heirs, they will inherit those assets without capital gains tax liability. When conducting a 1031 exchange, it’s vital to ensure you get everything right with the title. The title on the new purchase must be identical to the old property; the IRS wants to see the exact taxpayer on each title. For example, if you owned the first property in your own personal name, the replacement property must also be purchased that way. You cannot put the replacement property in an LLC, trust, retirement account, or someone else’s name; the titles must be identical to ensure a successful transaction. If you need to change the title later (for example, transfer the property from your personal name into your LLC), you can always complete a quit claim deed after the 1031 exchange has occurred. The 1031 exchange is an advanced tax strategy for real estate investors. If you haven’t yet started thinking about how to take advantage of the many tax benefits available to real estate investors, you must! The absolute best place to start is to read Tax-Free Wealth by Tom Wheelwright. Tom Wheelwright is a Rich Dad Advisor, and an incredibly knowledgeable tax accountant. Tax-Free Wealth is full of amazing strategies for creating wealth by minimizing your taxes. Additionally, we’ve put together a playlist on YouTube to help you learn more about real estate taxes. If you’ve identified a weak link your existing real estate portfolio and are interested in moving forward with a 1031 exchange, the first step is to get in touch with a qualified intermediary. This contact should be made before the sale of the first property. It is not recommended to wait until last minute, you should prepare ahead of time if you plan to engage in a 1031 exchange. If you have already sold your property, unfortunately it is too late to participate in this tax-deferral program. This is because the qualified intermediary will need to set up an escrow account for the funds received. If you want to defer capital gains taxes, you cannot personally receive the funds from the sale—this is a taxable event. Additionally, you should seek the counsel of your real estate savvy CPA during this time. If you’re looking to exchange a property for higher ROI real estate investments, we’d love to help! Book a call with our team, let us know about your plans to participate in a 1031 exchange, and we will match you with high return-on-investment properties that meet your needs! We would like to note that at Morris Invest, we are not tax professionals or lawyers. As always, seek the counsel of your law and tax teams. This post is not intended as advice, but rather a cumulation of experience.